I really wanted to have a s’more the other night and was thinking of how to make a vegan s’more. What I came up with though isn’t your typical graham cracker sandwich with melted marshmallows and chocolate inside. 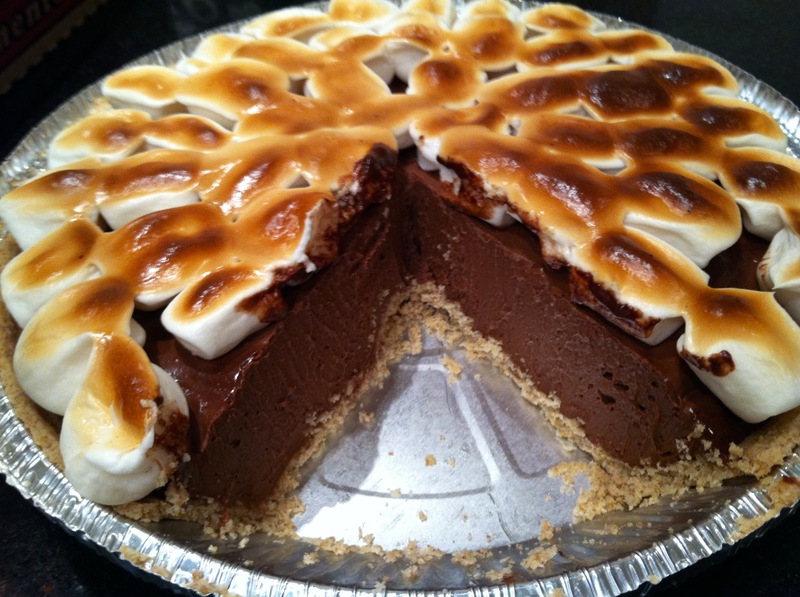 Instead, I took my original recipe for a chocolate pie and altered it to create a vegan s’mores pie. This pie looks so unique, tastes so delicious and makes a great dessert! 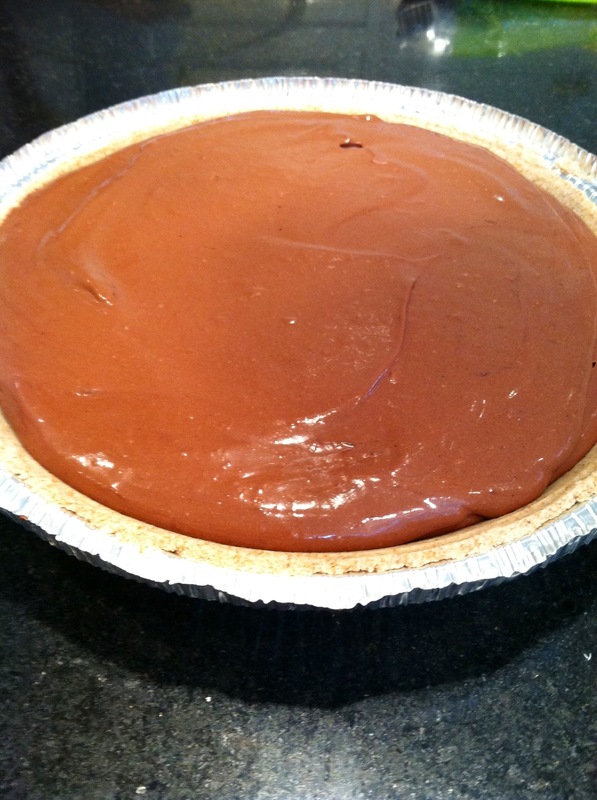 To start, you’ll need to make the chocolate pie. Take out your blender or Vitamix and add in your package of silken tofu and your one tablespoon of vanilla extract. Now, you’ll need to make a double boiler to melt your vegan chocolate chips. To do this, simply fill a pot with water about a quarter of the way. Then set your pot over medium heat. Put a bowl on top of the pot and add in your two and a half cups of vegan chocolate chips. Make sure to continuously stir the chocolate chips as they melt, so they do not burn. When all the vegan chocolate chips have melted, pour the chocolate into your blender or Vitamix. Blend until this mixture becomes smooth. This didn’t take long for me in the Vitamix, but it may take a couple minutes in a regular blender. Then pour this mixture into your graham cracker crust and put in your refrigerator to chill for at least four hours. This filling will become like chocolate mousse once chilled. Once your pie has been chilled, take it out and get out your vegan marshmallows. I used Dandie’s brand of vegan classic flavor vanilla marshmallows and really liked them. 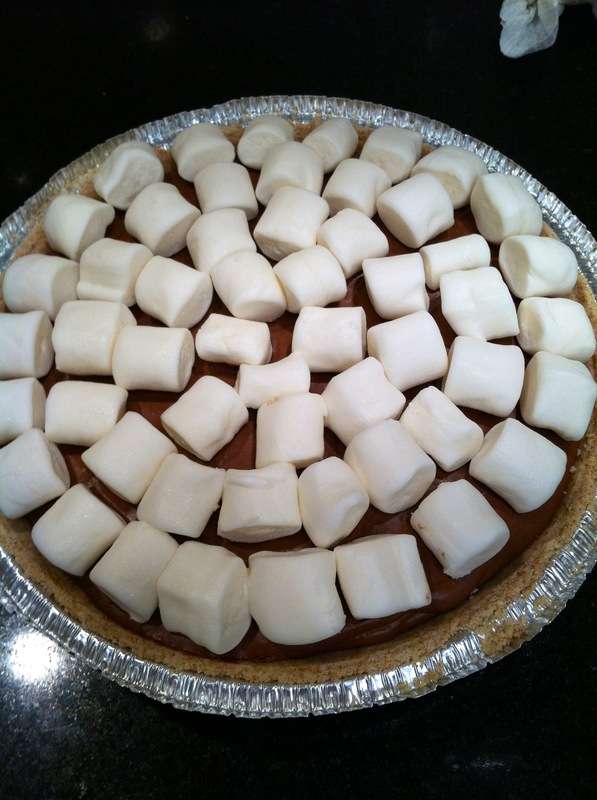 Now arrange your vegan marshmallows on top of your chocolate pie however you like. Then turn on your broiler and put your vegan s’mores pie under the broiler for about two minutes, or until the marshmallows get toasted. You should make sure to keep an eye on your pie while under the broiler because those marshmallows get toasted pretty quickly, and you wouldn’t want them to burn and ruin your pie. Once your marshmallows are all toasted, take your pie out from under the broiler and set on the counter. 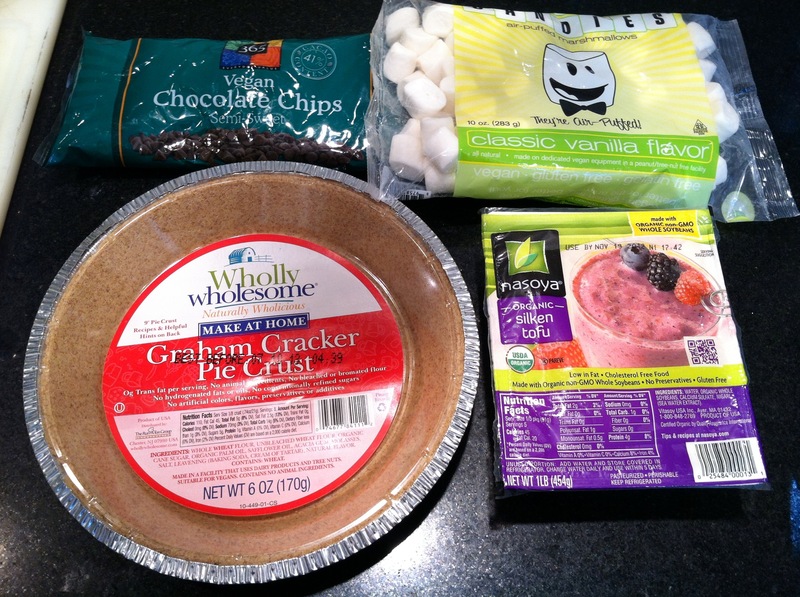 Your vegan s’mores pie will now be ready to enjoy while the marshmallow topping is still warm. Enjoy the delicious combination of the taste of the warm marshmallow topping and the chilled chocolate mousse sitting on top of your graham cracker crust! I’m going to base the nutritional value on 10 equal slices of this rich, decadent vegan s’mores pie. This is how I ended up cutting it and is a good number to base the nutritional values on. You can cut it anyway you please. One slice of this pie will give you 421 calories and 53 grams of carbohydrates, 4 grams being dietary fiber. It will also give you 100 milligrams of potassium and 3 grams of protein. In terms of vitamins, you’ll receive 3% of your daily vitamin A and 4% of your daily vitamin E.
In terms of minerals, you’ll receive 3% of your daily riboflavin, 4% of your daily phosphorus, and 6% of your daily copper. Thank you! So glad you enjoyed this recipe. It’s definitely one of my favorites on my blog!